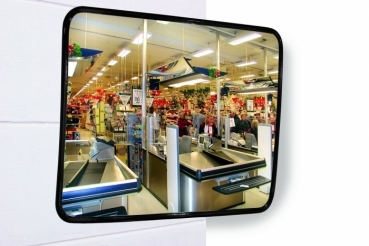 The SM observation mirror, with its slightly convex curved shape, provides good visibility over large areas, making it ideal for monitoring retail and department stores. He is also TÜV certified. The mirror is made of impact-resistant acrylic (70% stronger than glass). 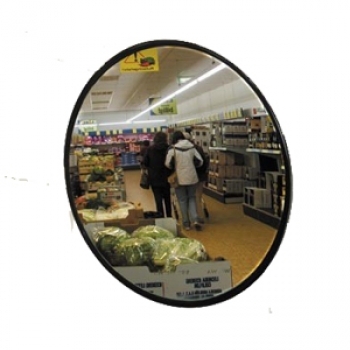 The special feature of this mirror is the closed plastic back to protect the metallization. The mirror is therefore very resistant and durable. In addition, it is completely sealed by a surrounding plastic border and can therefore also be used in the food industry.